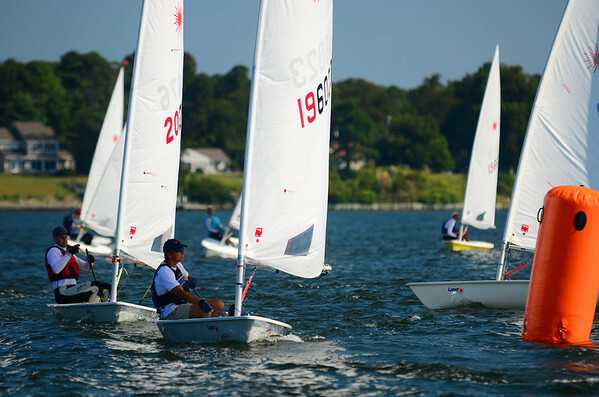 The NOR is now posted and online registration is now open for the 2015 Chesapeake Bay Laser Masters Championship on October 17-18. 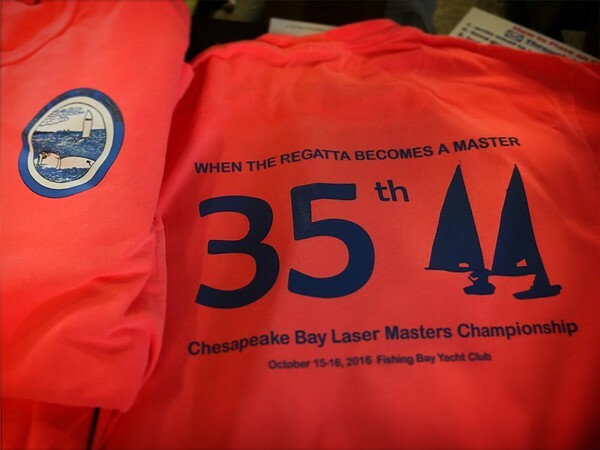 Fishing Bay Yacht Club will host the 34th Chesapeake Bay Laser Masters Championship this October. 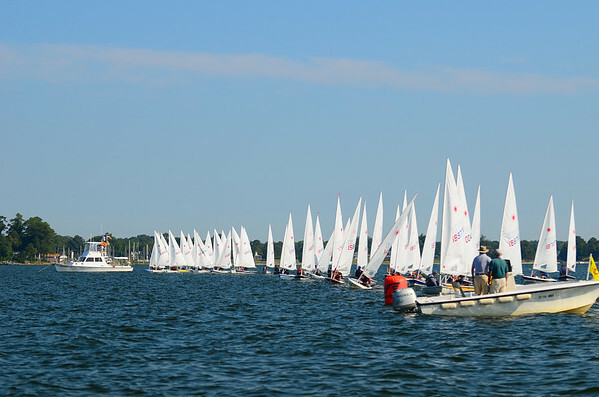 FBYC’s Laser Fleet will welcome sailors from around the mid-Atlantic and beyond for great sailing, great food, and great friends. Visit the Notice of Race and Register Online before October 12 to get the early discount. T-shirts will be available to those who register early while supplies last. 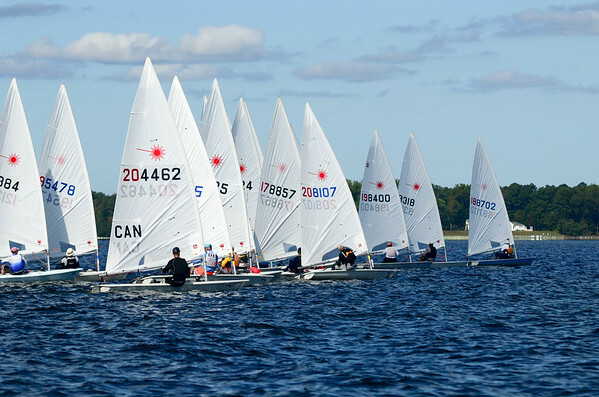 There’s one thing that’s certain about Laser Masters sailors – it’s that they are a competitive group. 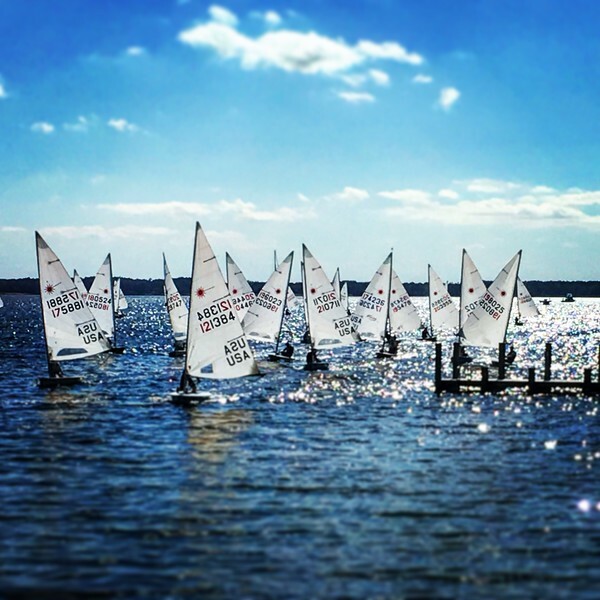 So when there wasn’t enough wind to sail at the Chesapeake Bay Laser Masters Championship at Fishing Bay Yacht Club – what did they want to do? PADDLE BOARD RACES! Lucky for them the wind filled in a short time later. 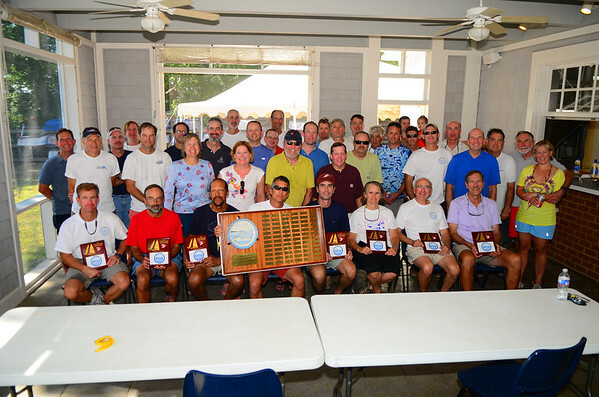 It was a great weekend for a regatta and a great regatta was held at Fishing Bay Yacht Club for 42 Laser Masters Sailors. 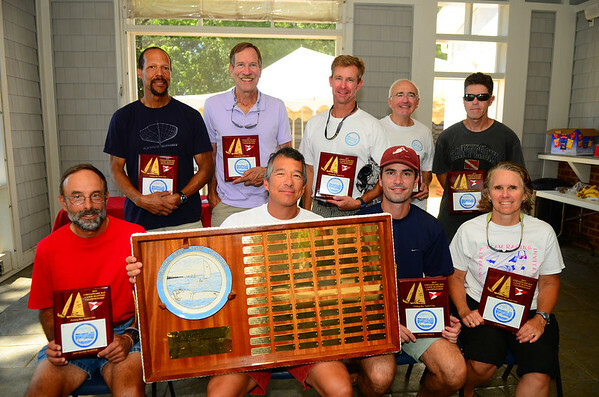 Winning the Chesapeake Bay Laser Masters Championship Regatta for his second time – Bob Tan from Severn Sailing Association emerged as the 2013 champion. Saturday morning the competitors arrived to mostly clear skies and a nice 8 knot breeze out of the south. The breeze was supposed to die in the late morning, but that only happened once the sailors were sent out after postponing ashore for a bit. Upon returning to shore, Margarett Podlich and Mike Toms organized paddle board team relay races which were a big hit to kill some time. Saturday evening the sailors gathered around the projector to watch the replay of the America’s Cup match between Oracle and Team New Zealand that had taken place earlier in the day. 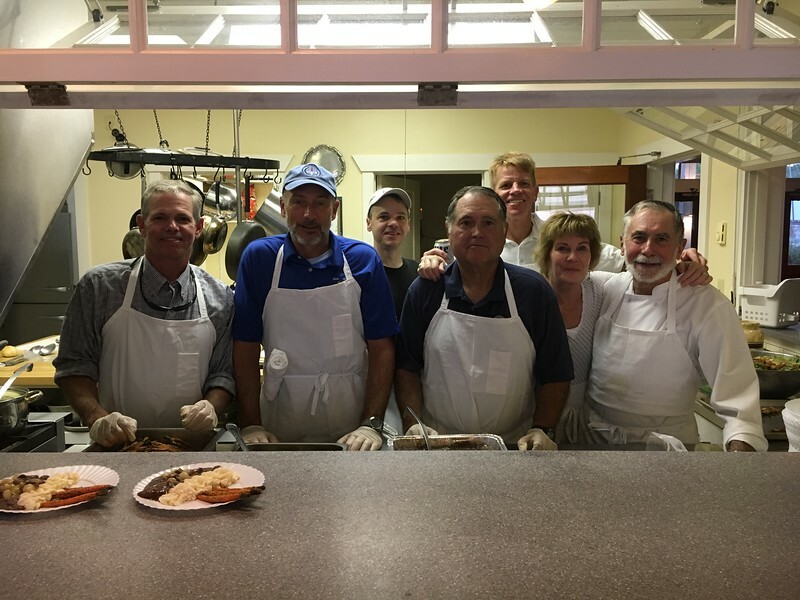 That was followed by a spectacular Alain Vincey dinner of crabcakes and steak attended by 65 sailors and guests including a special guest of honor – former FBYC Laser Fleet Captain, prior event chairman, past FBYC commodore and masters sailor – David Hazlehurst. Sunday’s forecast was for similar conditions to Saturday with the wind expected to die around 11:30. The earlier start at 10 got us a solid light-air race in the Piankatank. 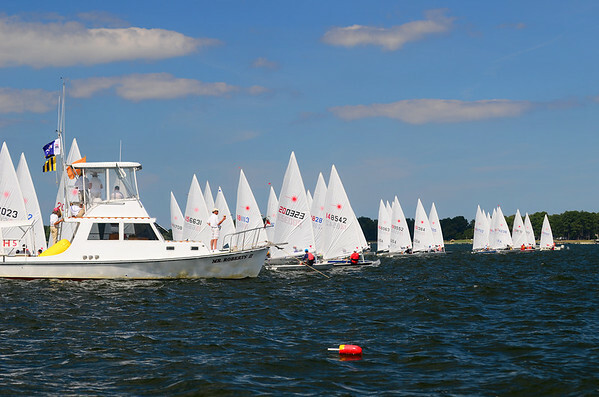 Gavin O’Hare [A](EYC) won the heavily contested boat end and won the right on the first beat to lead the fleet to a win in the race. Going into the final race any of the top 5 were in contention. Unlike the first race of the day – it was the left that paid off big. Finn Hassing [GGM](ODC) was at the pin and caught a nice lefty to fetch the first weather mark in first. As the fleet made their way down the run the wind just about shut off. 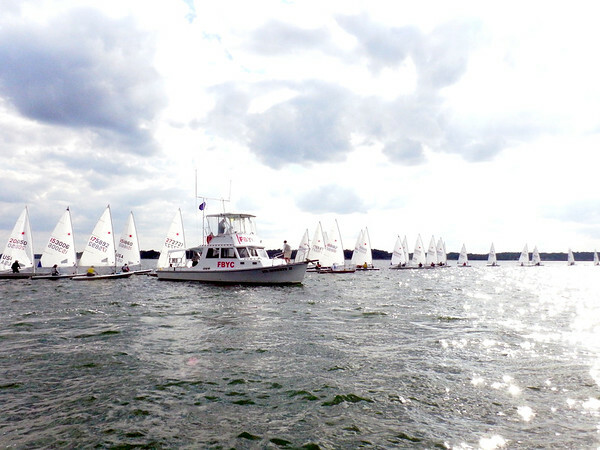 Progress was slow, but the fleet was able to make it to the finish of the race. Finn kept his lead for the race to take the bullet, but it was Bob Tan [M](SSA) who jumped up the leaderboard after dropping a 19th in the 3rd race to take the overall title by 4 points. 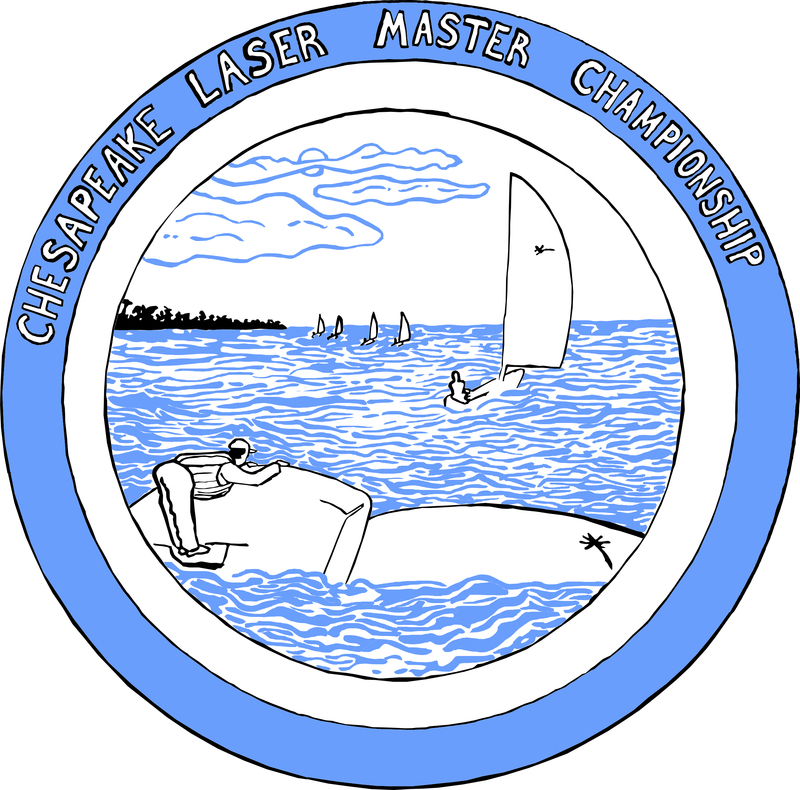 Bob is now a two-time winner of the Chesapeake Bay Laser Masters Championship having previously won the regatta in 2003. 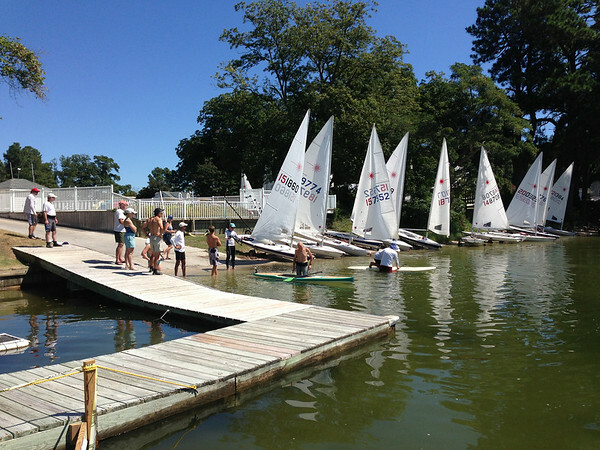 This regatta went incredibly smoothly and that could not have been accomplished without plenty of help. Our race committee gave us some great races and got us on an off the water at optimum times. Thanks PRO Rick Klein along with David Clark, Cathy Clark, Becky Dale, Debbie Cycotte, Ric Bauer, Sharon Bauer & Ruthanna Jenkins on the signal boat. They had John Beery, Mosby West and Roger Carver on the weather mark boat while Mike Dale and Ron Jenkins helped on the line/gate boat. 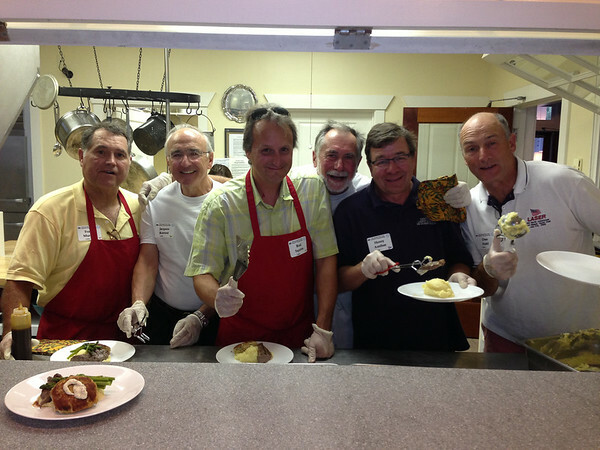 Alain put on a great dinner and we want to thank the the rest of the fleet members for their help with the land program – Len Guenther, Mike Toms, Brad Squires, Frank Murphy and Dan Herlihy. 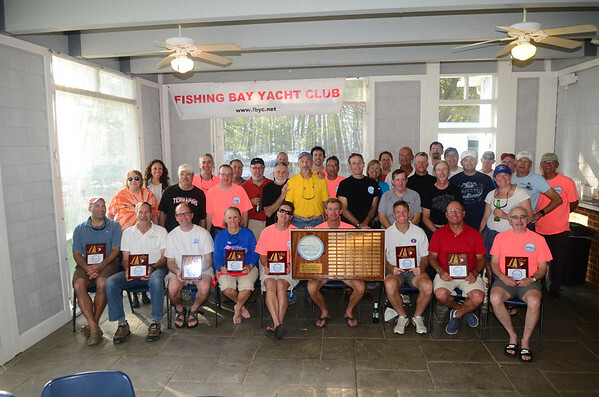 On behalf of Fishing Bay Yacht Club – we’d like to thank everyone for coming and hope you join us again next year for the 33rd Chesapeake Bay Laser Masters Championship – most likely in October 2014.